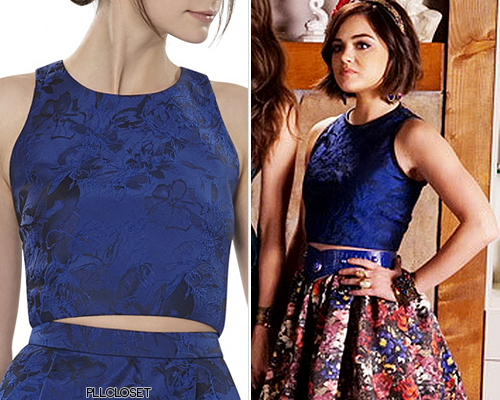 It was prom night on Pretty Little Liars, and I was so excited to see the fashion. It definitely didn’t disappoint. Here are my thoughts on all the dresses. Ali’s dress is so gorgeous. I’m not huge on tulle, but I love the color with the lace overlay. I also think the gold belt finishes the look to be luxurious. I also really liked the bright red lip and Hollywood styled curls. Overall, this is one of my favorite looks from Ali on the entire show. 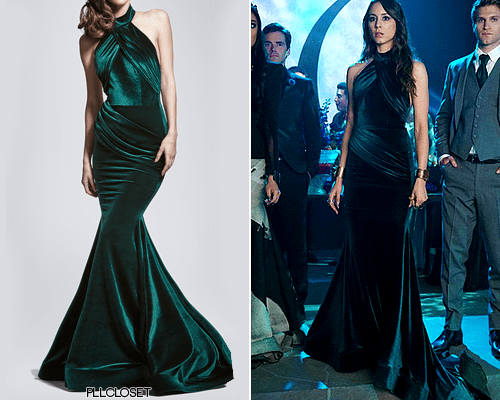 If I had to choose a prom dress, I would have a hard time choosing between Ali’s glam styled dress and Spencer’s sleek gown. I think I’d wear this dress though because I love the way it hugs Spencer so effortlessly. I like the high neck, the rich color, and I love her loose tresses with the dress. 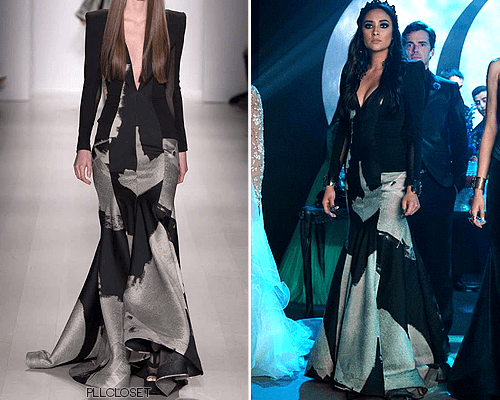 Emily’s dress is another surprise. I like that they gave her a form fitting dress to wear and it almost has a menswear feel on the top with a suited bodice. I also like that she got to have a darker villainous outfit compared to the other girls’ glittery glam dresses. I really like the sleeves on the this dress. The gold embroidery has a royal vibe from it and the high low style allows her boots to show off. It definitely has a very powerful feel as well. Overall, I liked all the dresses this year. This one is very memorable with a fairy tale theme as well.